You probably all remember the first Postmodern Jukebox video you saw. Well, I remember the first one I made. It was back in 2010, and I was living in a basement apartment in Astoria, NY, trying to figure out just what I was going to do with myself. I was in my late twenties, had dropped out of school, and was stuck with a ton of student loan debt. Making YouTube videos certainly did not seem a viable options at the time, but at least it was a creative escape. I had been toying with the idea of “classing up” pop music for awhile, but I finally decided to make the jump into putting together a full band for a recording of Lady Gaga’s hit song, “Paparazzi.” I reached out to some of my most talented friends from college: bassist Chris Anderson, saxophonist Ben Golder-Novick, harpist Brandee Younger, and vocalist Emma Walker. I didn’t have any music prepared, just a general idea. We set a date to record on February 20, 2010. Shooting this video was a laid back affair. The gang showed up at my Astoria basement apartment and, after a lengthy ordeal that involved wheeling a harp down a back alleyway, we got to work. It was a pretty loose session; I gave Chris, Brandee, and Ben chord charts and vague instructions for a quasi-latin jazz feel, and then we kind of just ran with it. Emma was a jazz singer with great instincts for pop, and she gave a fresh interpretation of the melody, even though the song was brand new to her. In the second verse she forgot the lyrics momentarily, but we decided to leave it in, rather than re-record it again. Like I said, it was a laid back session. After recording, I synced the audio to the video that I captured on a cheap Flip camcorder, and placed a music video-style title in the bottom right corner. I called the series “Postmodern Jukebox” – a name that both appealed to my [failed] academic aspirations, and also just sounded like a self-explanatory name for this project. “Postmodern” because it broke down some of the walls between genres by blending the old with the new; “Jukebox” because it focused on pop songs that were familiar to a lot of people. I had no idea that this name would come to receive the recognition that it has today. One thing that was especially notable in this video was the frozen statue poses that we adopted when we weren’t playing. Nowadays, sight gags and “Easter eggs” like this one are part and parcel of the Postmodern Jukebox video experience, but at the time, it was just an experiment. I felt a little silly explaining to my friends that I wanted to try this, but they wound up having fun with the idea of adding a little showmanship. Even today, I still get a kick out of Ben Golder Novick’s surprise Celtics-jersey-clad appearance at the end of the video. The video went on to get a few thousand views, which was thrilling for me at the time. Life went on; I continued making videos sporadically using the Postmodern Jukebox label, including this arrangement of Rihanna’s “Only Girl,” featuring my friend Niia, an incredible singer (look her up!). I filmed it by candlelight, trying to be artsy…I didn’t really know how cameras worked at the time. 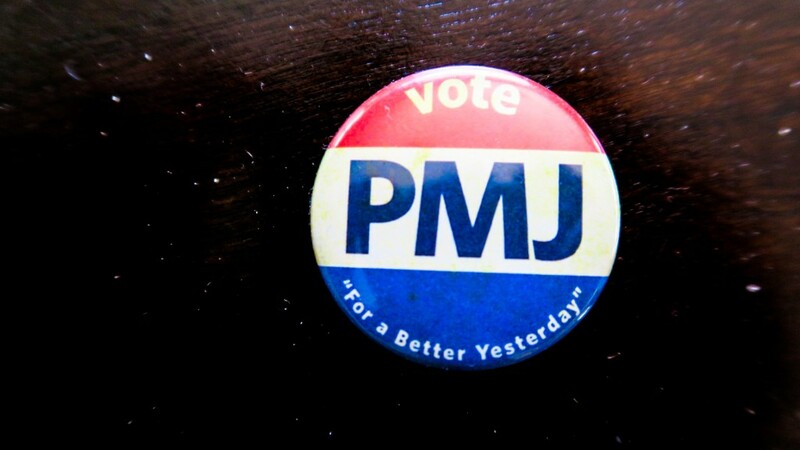 But the music still holds up; this one is still my mom’s favorite PMJ recording. The combination of cello, piano, harp, and voice is a beautiful sound, and something I continue to return to from time to time. Interestingly enough, the concept for the Postmodern Jukebox stage show started around this time, only it wasn’t called “Postmodern Jukebox,” it was called “Thomas Jefferson and His Ragtime Orchestra.” This is a story for another post, but I used to crash parties dressed as Thomas Jefferson around this time (remember, I had dropped out of school and was basically unemployed), and somehow decided to build an entire show around this idea. 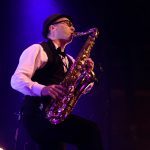 Like the #PMJtour show, it consisted of my jazz and ragtime arrangements of modern-day pop songs, presented in a variety show format and hosted by an emcee. Oh, and I wore a powdered wig. 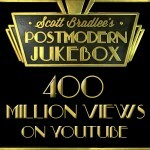 My first big “viral” hit using the Postmodern Jukebox concept wasn’t called “Postmodern Jukebox,” either. It was called A Motown Tribute to Nickelback…another subject that warrants a separate blog post altogether (see how complicated this is?). But, from 2011 till 2013, this was the project that consumed most of my time and is responsible for my now-encyclopedic knowledge of Nickelback lyrics. 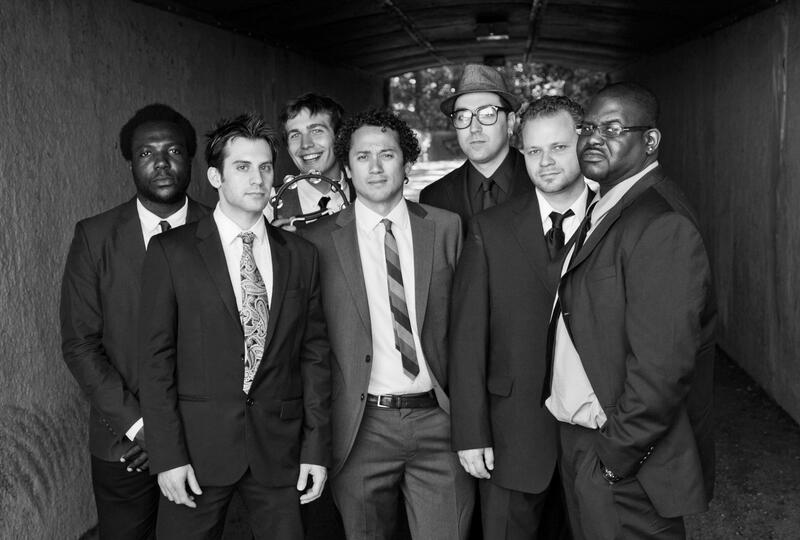 This video wound up introducing the world to many PMJ featured performers, including bassist Adam Kubota, drummer Allan Mednard, PMJ emcee Drue Davis, sax / EWI player / producer Steve Ujfalussy (you may know him as ’90s R&B icon “Steve Sweat” from Saturday Morning Slow Jams) and, of course, Tambourine Guy (Tim Kubart). It also got me an interview with the Village Voice, in which I used a bunch of big words to communicate the importance of combining Nickelback with Motown. We eventually released an album of Motown Nickelback remakes, and even performed at Live at Squamish. If there was one video responsible for introducing Postmodern Jukebox to a mass audience, though, it was our 1930s jazz remake of Macklemore’s “Thrift Shop,” featuring Robyn Adele Anderson, in February of 2013. At the time, Robyn had never considered making singing anything more than a hobby; in fact, I nearly had to talk her into participating in the video, since she was worried she didn’t have professional experience as a singer and had never made a recording before. I immediately recognized that her unique voice and natural skill as a performer would be absolutely perfect for this project, and after some convincing, she got to work turning the rap to a melody that would complement the 1930s feel. I called up Adam and Allan, and brought the whole gang to my new apartment (I had recently become the music director for the immersive show, Sleep No More, so I could finally move out of the basement) to teach them the arrangement and record the whole thing. I was afraid that the neighbors might not appreciate the noise, so I kept it low volume by stripping the drum set down to a single snare drum. The session went quickly, and I bought falafel sandwiches for everyone, which was my usual currency in those days for musicians that played on videos. None of us expected that much from the video, but I knew it was something great, and anticipated getting 10,000 views or so. I was wrong. Instead of 10,000 views, it racked up 100,000 views overnight and wound up on the front page of Reddit, the self-styled “front page of the internet” that received an enormous amount of traffic. Popular websites like The Huffington Post and Buzzfeed began sharing it, and by the end of the week, it became my first YouTube video to reach 1 million views. Robyn had became PMJ's first superstar in her very first video, and the idea of the Postmodern Jukebox universe had spread across the internet. 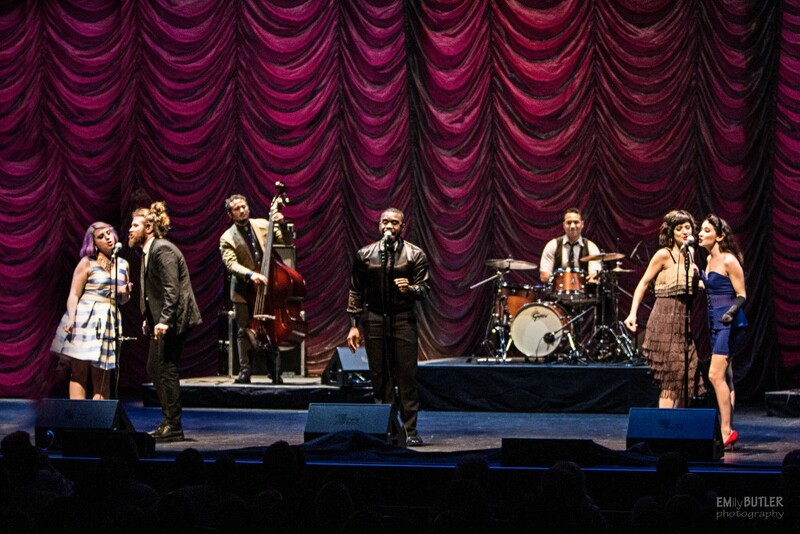 The question on everyone's mind then was: What is Postmodern Jukebox? To this day, it's not an easy question to answer, because despite being seen as a "vintage" movement (and not the first one of its kind), it's a brand new style of entertainment. But, I can tell you what we've done since then. In the two years that followed, we went from performing for a camera in my living room to performing sold out shows on four continents, including a show for 4000 fans at Microsoft Theatre, with plans for year round touring worldwide. 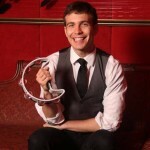 In the two years that followed, we've introduced the world to more than 40 world class talents - many that have gone on to headline tours of their own, such as Puddles Pity Party, Kate Davis, and Morgan James. In the two years that followed, we've amassed over 1.7 million YouTube subscribers and 400 million views on YouTube, plus countless more on Facebook and other sites. And - one that I'm especially proud of - in the two years that followed, we've stayed independent and found success our own path without major label support or corporate sponsors, allowing our fans to remain our single biggest influence. Back in 2011, I had a crazy idea and a bunch of extremely talented friends. You - watching our videos, downloading our music, telling your friends, and coming to our shows - helped bring Postmodern Jukebox to life. For that, I'm extremely grateful.